Beans and melted cheddar cheese. Ground beef with melted cheddar cheese. Spiced shredded beef with melted cheddar cheese. Shredded chicken with melted cheddar cheese. These House Nachos come topped with beans, guacamole, sour cream, tomatoes, onions, melted cheddar and Monterey Jack cheese. Deep fried flour tortilla topped covered with melted cheddar cheese. Deep-fried flour tortilla topped with beans, beef, melted Monterey Jack cheese, tomatoes and green onion. Flour tortillas stuffed with melted cheese, onions, tomatoes served with sour cream and guacamole. Deep-fried flour tortilla filled with fresh tasty chicken on a bed of lettuce, garnished with sour cream and guacamole. Taquitos picadillo, chicken flautas, cheese quesadilla and nachos. Served with sour cream and guacamole. Fresh avocado, cilantro, tomatoes, jalapenos, lime and Mexican spices. It’s a show at your table! Your choice of mild or hot sauce. Fresh, lean ground beef topped with lettuce, cheese and tomatoes. Shredded beef covered with lettuce, cheese and tomatoes. Tender chicken topped with lettuce, cheese and tomatoes. Deluxe deep fried flour tortilla stuffed with sauteed shrimp, crab and mushrooms. Garnished with lettuce, cheese, tomatoes, onions and sliced avocados. Grilled shrimp served with lettuce, tomatoes and avocados over a bed of black beans topped with choice of dressing and fresh ranchero cheese. A mixture of fresh spinach, sliced tomatoes, hard boiled eggs, avocados, and choice of dressing. Served on a bed of black beans. Corn tortillas, rolled and topped with melted cheese. Crisp corn tortillas filled with shredded beef or chicken. Garnished with sour cream and guacamole. Crisp flour tortillas stuffed with spicy shredded beef or chicken, garnished with sour cream and guacamole. Homemade cornmeal shells filled with beans, shredded beef or chicken, lettuce, cheese and tomatoes. Served with sour cream and guacamole. USDA Choice meats marinated and broiled, then chopped and served in soft corn tortillas with tomatoes, spring onions and cilantro. Includes guacamole. Tasty fresh zucchini, carrots, celery, bell peppers, onions, mushrooms and tomatoes. Served sizzling hot with black beans and Mexican rice. We have even more awesome Margarita flavors than we could list! 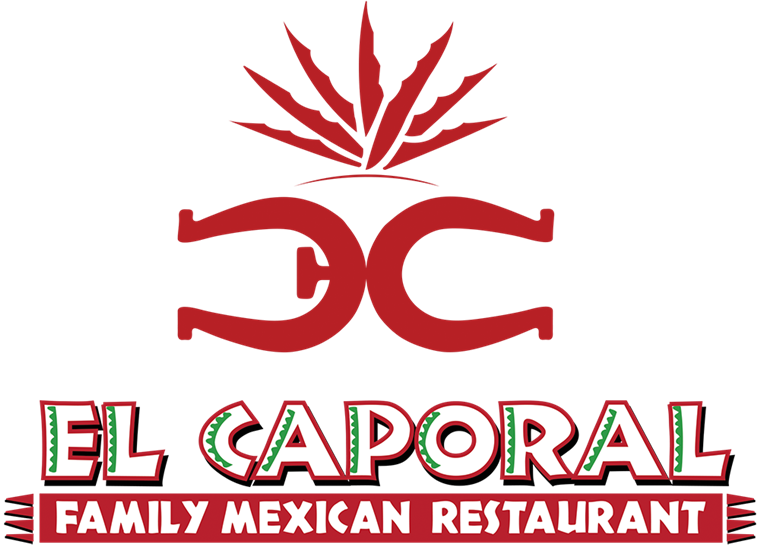 *STOP by El Caporal to try them all !!! Mexican Beer made with lime juice ,salt and assorted sauces, spices and peppers. Recommended for hangovers.